You ever have that strange feeling about not knowing if a movie is going to be any good, like, at all…but you have to see it anyways? Every time I saw a trailer to Guardians of the Galaxy, I couldn’t help myself but think…man, I don’t know. Everything about the trailers and the characters and the visuals just looked way too weird for me. It was stamped with the Marvel logo, sure, but even then…even then, it never felt like what you’d expect to come out of the movie studio…and yet here we are. I have to say, they knew what they were doing from the beginning. It was a magnificent risk, but in my honest opinion, they pulled it off without a hitch. Most of you may have watched all trailers and would still be absolutely confused, so let me clear up your world. Basically, these five very different and diverse group of characters more or less run into each other. They hate each other at first, but they collectively work together to get a little something called an “infinity stone” which is basically the power of the Death Star in the palm of your hand…it’s bad news. They need to keep it away from an all-evil dude named Ronan from using this stone to obliterate a planet…again…death star. They call themselves the Guardians of the Galaxy. The entire project was incredibly risky. They basically had two hours to introduce the audience to an entire universe filled with colorful, unique, and original characters, planets, weapons…everything. That means the very beginning of this movie is a little hard to follow because it just jumps right into this foreign universe. After a while though, confusion transitions into complete focus when you’re dragged into the world alongside them. It might actually remind you of Star Wars. Not so much with story or characters…while those are definitely present, but more on concept and design. Coming up with something not only original but captivating and awe-inspiring – something you will hopefully remember for decades to come…and they may have just landed that here. The visuals are absolutely to die for, and what keeps you watching is the unpredictability of the thing. You really haven’t seen anything like this before, and it really could go in any direction…but the way they actually choose to go is definitely satisfactory. Is it weird as the trailers suggest? Oh absolutely, but in the best possible way. Watch it in 3D if you can, because as Gravity proves, space is an infinite frontier…there’s a lot you can accomplish in space for 3D. They may have gotten some technical scientific aspects wrong on that end, but who cares…it’s a heck of a lot of fun just to watch. What I loved most about this movie, if I could pick something, were these characters. They were complete and ready to love the minute they stepped on screen. Whether you love to hate them or just love ‘em in general. Ronan, for example, is one heck of a movie villain that you won’t forget any time soon. Each character has a unique weapon that fits uniquely and exclusively with only them, and to see that for so many characters was really impressive. Even in Star Wars, most people just had lightsabers or blasters. In a way, they got weapons better in Guardians of the Galaxy. As for the acting, you’ll probably be just as impressed as I was because they did a phenomenal job at disguising each of these actors. 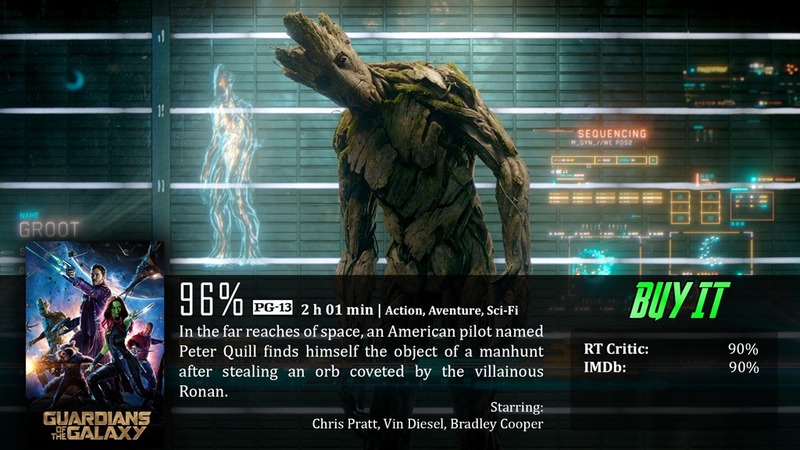 You can barely tell that Groot is Vin Diesel, or that Rocket is Bradley Cooper, or Thanos is Josh Brolin, or Ronan was Lee Pace, or Nebula was Karen Gillan…instead it was more important than a recognizable face or voice…they actually had to prove they were actually still great at acting. 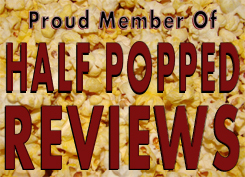 As a whole, I was incredibly impressed with absolutely everything that this film offered. The visuals were off the chain, the diversity of all of the characters and these worlds and cultures was huge, the entire project had a lot of places it could have easily gone wrong…and it came out unscathed. As great as a movie is, it still runs a huge risk as far as audience goes. Change will always be something people are afraid of…and this movie alters from what we’re used to. It’s incredibly weird and hard to understand at first…if you don’t give yourself in…you might have a hard time. You may also think some things are just ripping off of Star Wars. Rocket: UUUGGGGHH, You’re making me…beat up…grass! When they first announced this movie I was afraid I wouldn’t care or remember any of the humanoid characters (Starlord, Drax, Gamora). With Chris Pratt and Zoe Saldana they made great casting choices because those actors are memorable in everything they do, but I was still worried about Drax, but I think they did a great job developing his character. With the whole “he takes everything literally” aspect of his character, it definitely made him unique. But not only that, but I found that pretty much every character we see that speaks a line was memorable. Pretty impressive. I can’t wait to watch this movie on Monday at IMAX.